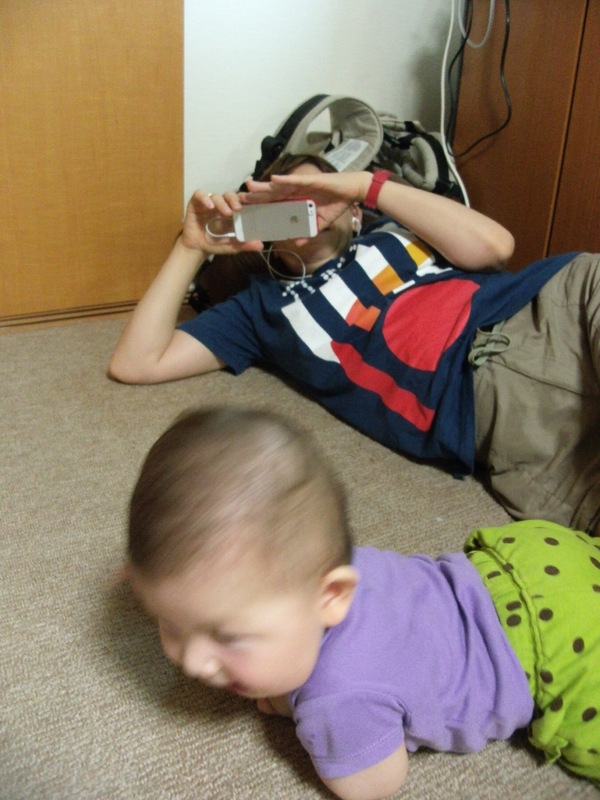 Mariya crawls | Daily Life in Japan, Muravej Co.
Mariya is getting good at crawling. Katya showed her on skype to her parents using iPhone. She came and bit the string attached to my camera. She likes strings and cords these days. 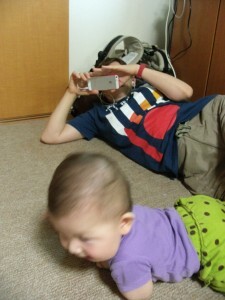 This entry was posted in Daily life, Katya, Mariya and tagged camera, iPhone, Katya, Mariya, parents, skype. Bookmark the permalink.